If I had to make a list of all nightlife and bar scams then three things is all I could come up with. And these three things won’t be very spectacular, either.Personally, I think they represent the standard repertoire of bar scams that you will find anywhere in the world where the tiniest bit of Banana Republic-potential can be found (i.e. not really in: Germany, France, the Benelux or Scandinavia). Man suggest going to restaurant/bar. Girl agrees & suggests most exspensive venue in town. Girl orders every item on the menu. Once outside, girl kisses man on cheek: “I got to go”. Scam girl(s) know bar owner who is in on the scam. Scam girls approach Men in Riga/Krakow/Prague. Scam girls suggest “cool bar” (“I know a good place”). Scam girls order over-priced drinks/bill is rigged. Victim gets threatened/pressured until they pay. Victim gets threatened and pressured until they pay. There is, however, a fourth and rather unknown type of bar scam. This one does not involve a big set up with decoy girls, rigged menus, hidden venues and intimidating bouncers. It has no rafinesse, no fake smiles and no promises of a romantic endeavour. In fact, this scam is so unspectacular that it can be applied at any place that has a counter and some barstools. Is it any wonder that this one is perhaps the most common bar scam in the whole of Eastern Europe? In many Eastern European vernues it is the barkeepers that cultivated a culture of self-tipping which they apply to non-locals exclusively. The busier the night the more will barkeepers withhold the change they owe you. No trickery or fake flirting plus it works perfectly with men and women alike. All they do is make your money silently disappear inside their pockets by simply “forgetting” about it. It is as simple as it is efficient. 1. You order a drink. 2. You pay in cash. Act as if he doesn’t remember you. Act as if he is super busy and thus cant serve you. Switch spots with his co-worker at the other end of the bar, knowing you can’t make it through the crowd. Greet another guest as if they were about to engage in a long conversation among old friends that must not be disturbed. All in the confident hope that you will either forget or stop insisting on your money. At this point it can be argued whether some of the rabbits contributed to their misery. It is true that the snakes were prowling for victims, but in the end the whole scam would not workout if it wasn’t for a voluntary act on the side of the victims. This can be reasonable critique, for instance if the girls from bar scam #2 were over-average attractive and the men were not. If the women approached men way below their league then the men could and should have smelled a rat, applying the basic rule of “if it’s too good to be true, it probably is”. Regardless of that the majority of rabbits are more of the innocent type who just wanted to see what pole dancing looks like in real life, “even if it costs me fifty bucks”, and then gets presented not a 50€, but a 500€ bill. Let me just say that it makes no difference what bill you paid with. These guys will withhold your money regardless of its worth. Whether it’s 50 Cent or whether it’s 7,50€ because you paid a 2,50€ drink with the local equivalent of a 10€ bill doesn’t matter, your money is now their money – at least that is what they think. Once the game begins give them a stern look in the eye and make the universal hand-sign of “cash” by rubbing your middle and index finger against your thumb. While you look them in the eye tip your index finger on the counter in front of you several times as if to gesture “this is where my money goes”. Personally, I used a card instead of my finger as it made a nice and enforcing “tack-tack-tack”-sound. 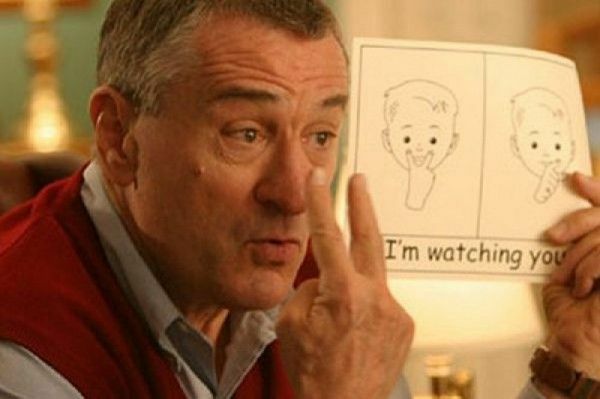 Since this won’t make them come over add the Robert De Niro “I’m watching you”- gesture by pointing your index and middle finger first at your own eyes. Right after, point both fingers or, preferably, point just your index finger right at them while you still look them in the eye. What’s the point of giving them the Gaylord Focker-treatment? The point is: They take the point. What they will do is keep on going with their routine for a bit longer in order not to lose face. And after that save-grace pause they will hand you your exact amont of money without even asking how much it was. That is how you can tell that they were not too busy and did not forget about you, but that they willingly took your money and knew exactly how much they got out of you. Isn’t that the perfect petty crime? What would they say if they ever got confronted (they won’t) by their boss? The answer is simple: they are working the bar in freakin’ nightclub for christ! Things are loud, things are hasty, things are “forgotton”. In reality, nothing is ever forgotton as they know exactly what they are doing. 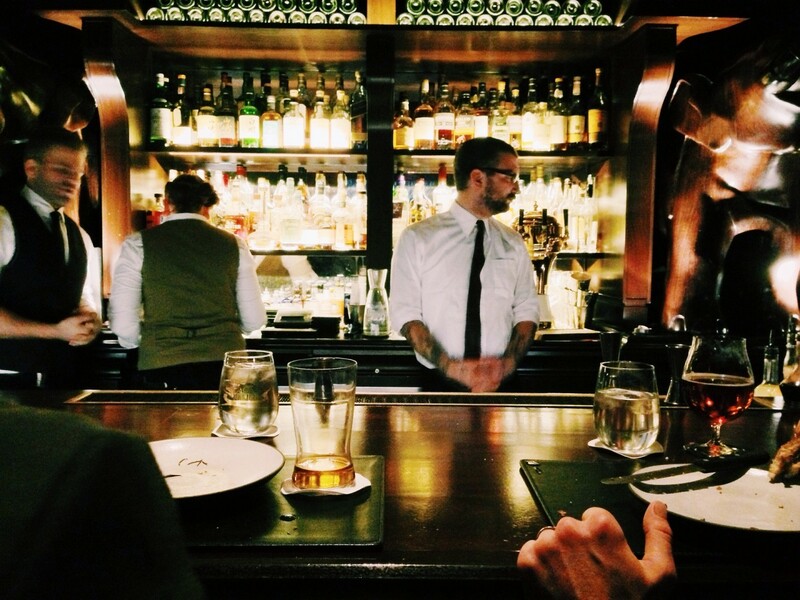 While chances are slim you will have to play the “Bartender Game” in cities like Berlin, Wroclaw or even Cluj-Napoca, chances will skyrocket if you set foot in a tourist-ridden-venue in cities like Kiev or Bangkok. Be advised that, especially in far-East Eastern Europe, the people behind the counter can smell whether you are a foreigner who doesn’t speak the language. And once they do the game begins. Trust me when I say that they will try to scam you out of your money at some point of your travels. If not on your first night out, then on your second. The more touristy the location the more likely barkeepers are to play their obnoxious game with you. Be that as it may, you now know how the ball bounces and can smash it right back into their faces.